In case you missed it yesterday amidst all of the hubbub surrounding the Robin Hayes indictment, be sure to check out Wednesday’s lead Capitol Broadcasting Company editorial on WRAL.com. In “Taxpayer-funded vouchers shouldn’t go to schools that discriminate,” the authors issue a powerful indictment of their own against North Carolina’s badly misnamed Opportunity Scholarship Program. That is a fact. It is discrimination. It is wrong. Imagine the outrage that would be uncorked at the General Assembly if a private school prohibited children whose parents happened to be registered to vote with the Republican or Democratic party or if they belonged to a country club that barred African Americans or Jews from membership? This is 2019, not 1419. 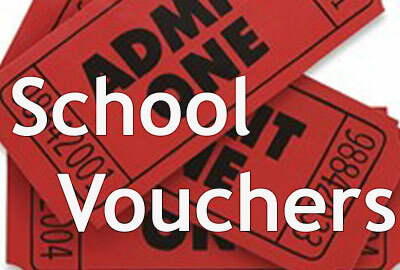 Private schools that receive voucher funds don’t even have to provide evidence that students regularly show up at class – much less demonstrate they are learning anything. While there is a requirement for standardized testing, it is neither the same, nor remotely equivalent, to the testing of students in public schools. These schools do not even have to report how the money they received is used – whether it helps pay teachers, pay for school supplies, finances the athletics program or outfits the school executives’ office suite. It is outrageous that legislative leaders do not demand transparency and accountability on how private schools use taxpayer-funded vouchers. It is past time that a proper system to track those state funds was instituted. It is scandalous that North Carolina taxpayers have NO IDEA if their money is being spent as intended. The bottom line: North Carolina’s school voucher program continues to be a disaster and, as the editorial notes in conclusion, state lawmakers are engaged in a dereliction of their duty if they allow it to continue in its present form.